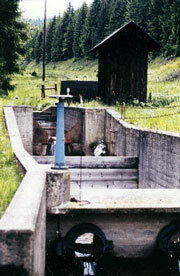 Hydrological research in small catchments comprises many aspects of the hydrological cycle. The complex interactions between hydrology, chemistry and ecology have ensured that process studies remain a vital element of catchment studies. This EURO-FRIEND project aims to improve understanding and synthesis of the processes and mechanisms responsible for streamflow generation, variation in flow components and cycling of the main nutrients in different physiographic and climatic conditions. Detailed experimental data from intensive field observations, often using environmental or artificial tracer techniques, is used as input to mathematical physically based catchment models. These enable the catchment response to changing environmental conditions to be modelled. Research on catchment hydrological and biochemical processes requires close links between field workers, physical hydrologists and mathematical modellers. 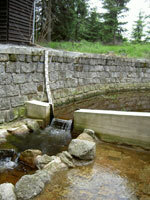 The project brings together specialists, techniques and methods from a wide range of small catchment studies across Europe.